Digitally printed on the front of 120# white matte card stock, this sporty Bar Mitzvah save the date features an image of a basketball in the lower right. 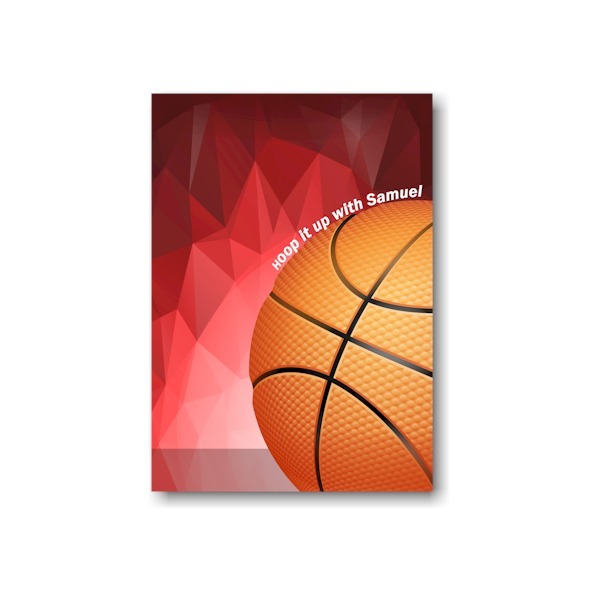 Your wording will be artfully arranged as shown against a colorful background. 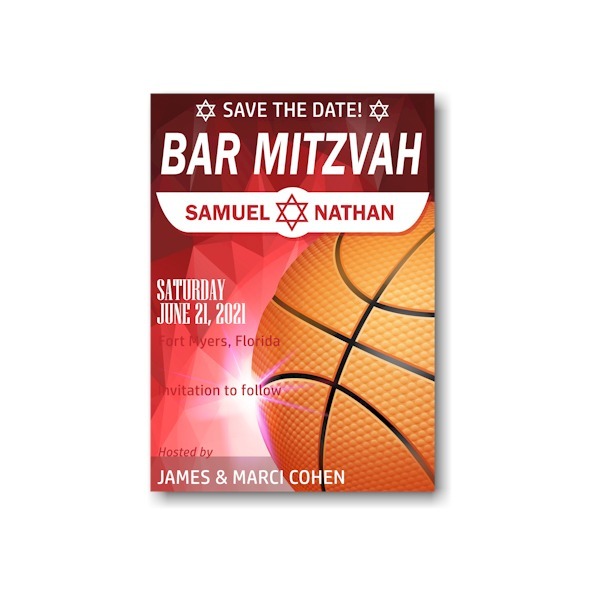 Digitally printed on the front of 120# white matte stock, this sporty Bar Mitzvah save the date card features an image of a basketball in the lower right. Your wording will be artfully arranged as shown against a colorful background. Consider adding optional backside printing for a nominal charge. Measures 3-1/2″ wide by 5″ high. Lettering styles and ink colors available only as shown. 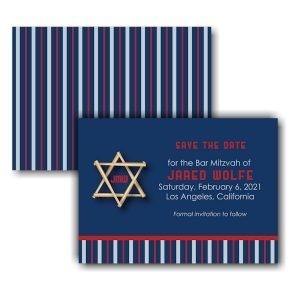 This save the date card comes with single bright white matte envelopes. 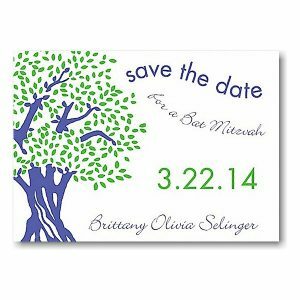 Consider adding a repeating heart pattern to the backside of your save the date cards for $24.00 additional.